Fans captured�Stray Kids'�Hyunjin�showing tears following a rumor concerning his past. Person 1: To talk about me, I think it'll take too long. I'll let you know after my class. All of his close friends already know about his character and acknowledged it. Person 2: Okay thank you. Let me know when you're comfortable. Person 1: And he fought a girl 1 one 1. 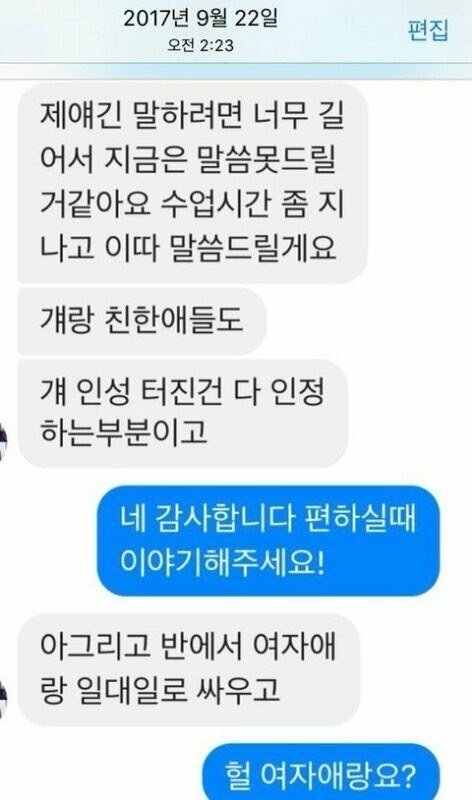 Person 2: Hul, with a girl? 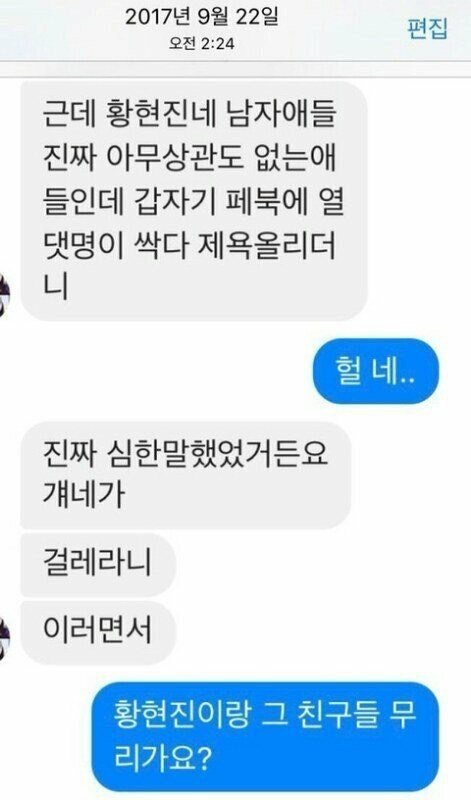 Person 1: In a private chat, apparently there were talks of him telling the girl, "Just go sell your body, you b*tch." He also used to smoke in middle school. 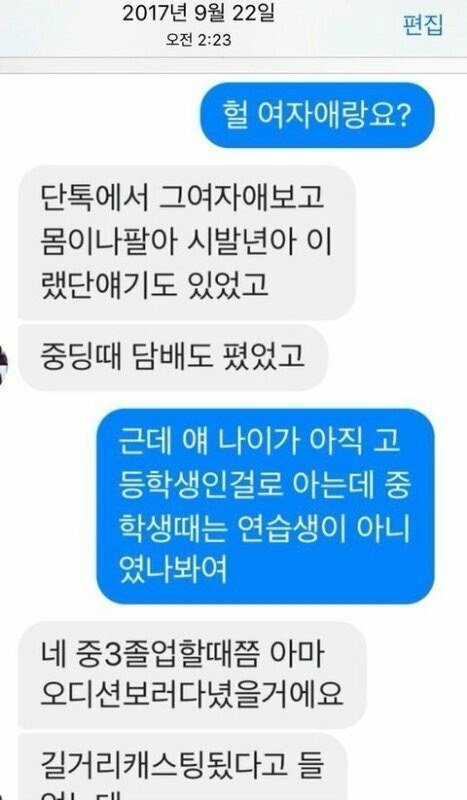 Person 2: But by looking at his age, he's a high school student. I guess he wasn't a trainee back in middle school? Person 1: Yes, he probably went to audtions in his last year of middle school. Person 1: So at first, I ignored him but he asked me again if I was dating that guy again. So when I told him it was none of his business, he suddenly said, "B*tch, are you crazy? Do you want to get hit?". He was yelling as if he was going to hit me which led to other students holding him back. 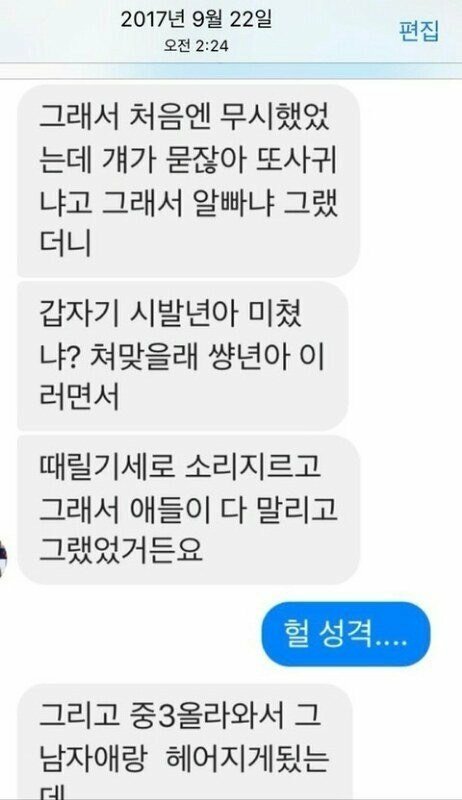 Person 1: Hwang Hyungjin's friends had absolutely no business but they all of sudden they started to curse me out on Facebook and said some really harsh stuff like I'm a rag and such. 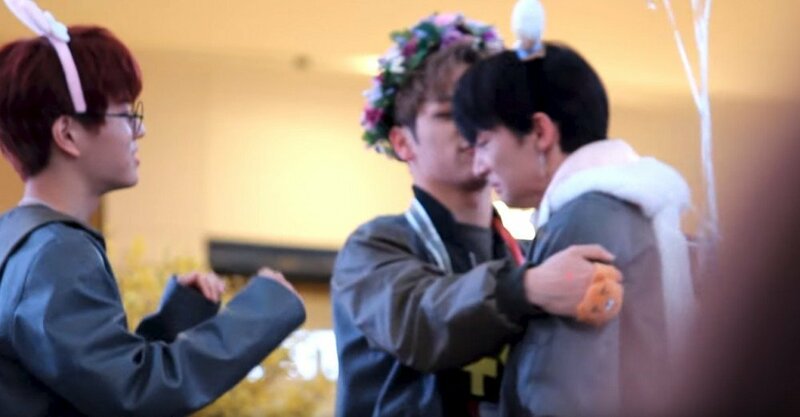 Since the news broke out, Stray Kids' Hyunjin has been caught crying during a fan meeting�event. 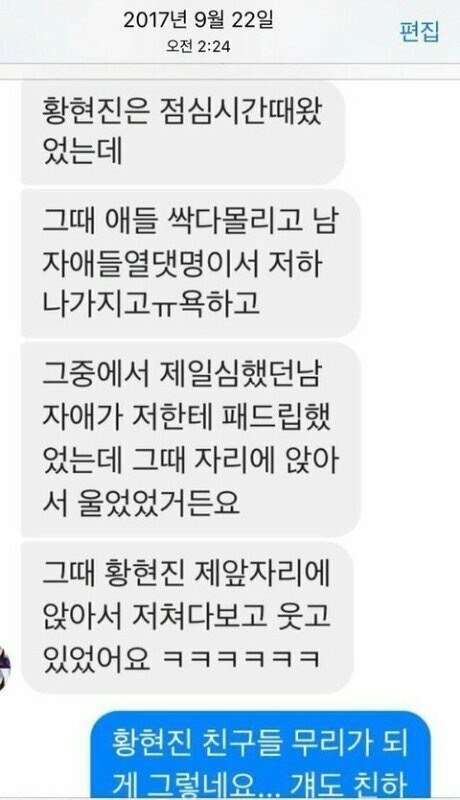 While the group is singing "Grow Up" in the video below, Hyunjin was the only member shedding tears which led to speculations that the rumors have reached his ears. His fellow members went to comfort him after he sheds tears. I don't think that this is something that Hyunjin would do. I'm pretty such it's just some girl that thinks it's ok to spread rumors about him. He is the sweetest and kindest person. He would never sit there and laugh at someone whom is being bullied nor would he smoke in middle school. I think that this girl was lying to create some kind of scandal and apparently she succeeded and I think that is very disappointing. Us stays all know him and this girl can try but she will fail stays are to strong. Like if you agree and comment your opinion on this statement of mine.